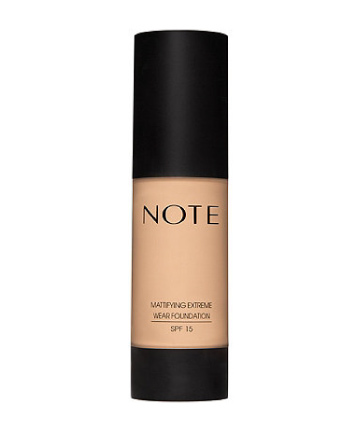 Note Cosmetics Mattifying Extreme Wear Foundation SPF 15, $15.99 This long-lasting, lightweight matte foundation comes in a large array of shades to match most skin tones. Great for those with oily or acne-prone complexions, it helps to balance the skin and reduce the production of oil. It really does live up to its name, as it stays matte throughout the day. Plus, it has the added bonus of SPF 15.